An essential wiring/installation aid for C-TEC's Quantec Addressable Call System. Helps protect against open and short circuit faults and reduces the risk of volt drop. Includes one input and one output connection for Quantec's 'Spine' wiring (typically 1.5-2.5mm T&E) and six fused 400mA ‘limb’ connections for the wiring of individual circuits containing Quantec's field devices (typically 4 core stranded security cable). 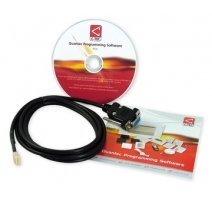 At least one QT603 is required per Quantec system (the more you use, the easier it will be to program and fault-find). 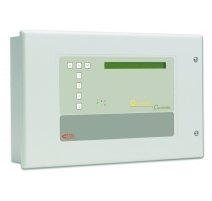 Install one QT603 per corridor junction (locate at the end of the corridor nearest to the Quantec Controller). If the corridor is longer than 50m, install the splitter in the centre of the corridor to reduce wiring runs. Max. 60 addressable devices per QT603. 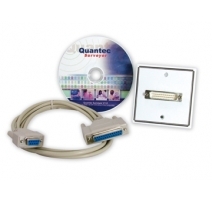 Quantec utilises a unique data protocol that works down two wires and a maximum of 255 addressable devices can be connected to a Quantec Controller (dependent on network topology). 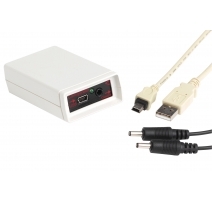 Addressable devices require 2 network connections. 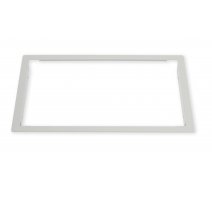 Slave devices such as slave ceiling pulls and slave overdoor lights connect to Quantec via a master call point, master ceiling receiver, monitoring point or universal programming device using 2, 3 or 4 cores of stranded security cable. 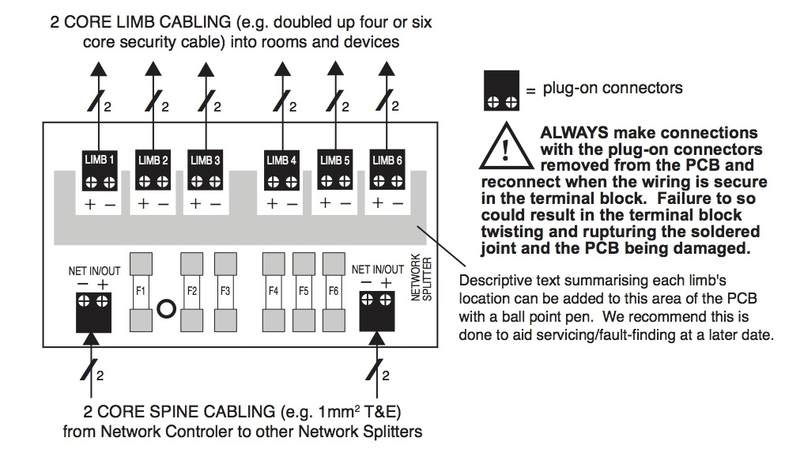 Wiring must be made in a ‘Spine’ and ‘Limb’ configuration using one or more QT603 network splitters. This allows the use of ordinary unscreened cable which simplifies installation, fault-finding and commissioning. • Max. length of all spines + limbs = 750 m.
• DO NOT wire any devices to the spine other than network splitters. Wire Limbs in a minimum of 4 core cable (7/0.2 mm2 strand) twisted into one pair to reduce voltage drop. No. of Limbs per Splitter = 6; Max. length per limb = 60 metres. Max. 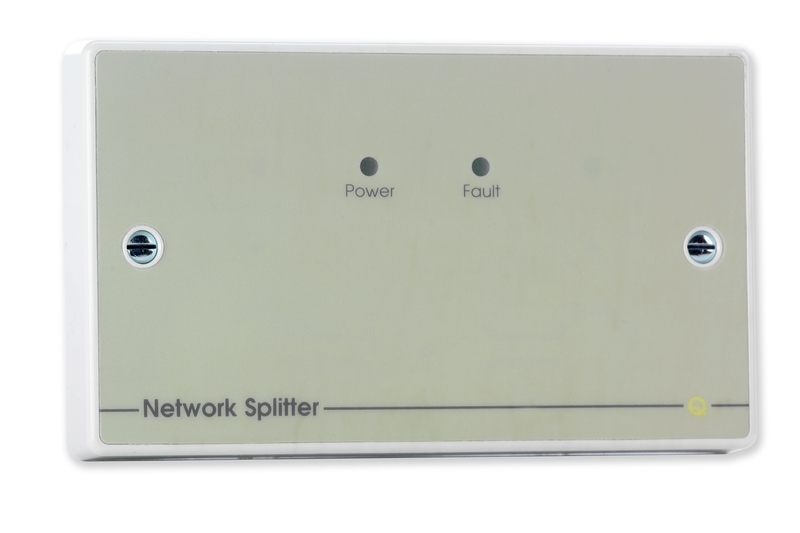 number of addressable devices per Splitter = 60. If possible, distribute devices at equal distances along the length of the limb. The Quantec Controller can be located anywhere on the network, although it is normal practice to install it centrally to reduce wiring runs, ideally in a manager or supervisor’s office. 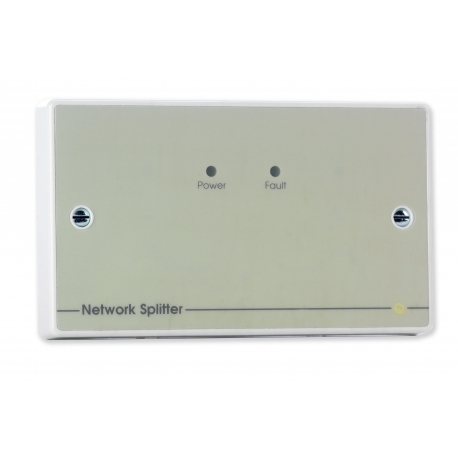 Distribute Splitters evenly throughout the site and locate at an accessible height. Compatibility Quantec Addressable Call System. Connections 2 x Net + and Net -; 6 x Limb connections (+ and -). Product dimensions (mm) 146 W x 87 H x 35 D mm. Mount on a 25mm deep back box. Notes A s/c on any limb will cause a current to flow and, provided the resistance of the circuit is low enough, its fuse to blow and yellow fault LED to illuminate. This fault will reported to the QT601/2 as a series of device failures. 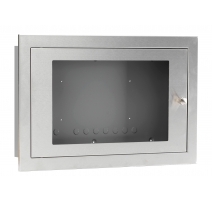 Product dimensions: 146 W x 87 H x 36 D mm. Mounts on a 55mm UK double gang back box.